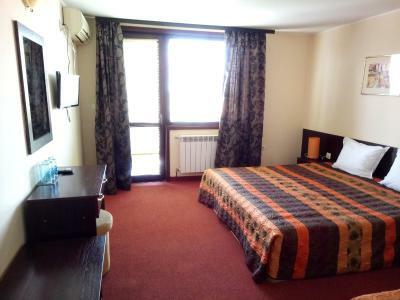 Lock in a great price for Hotel Elena – rated 8.1 by recent guests! Nothing in particular. There is no character or atmosphere in this property. You can see that the staff is not professional. 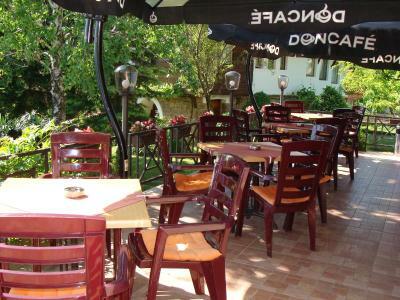 The location has a nice view , the breakfast was good and the staff was great( they let us stay for an extra 2 hours after ckeckout because we had some problems) . 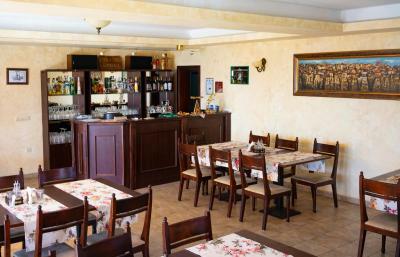 Oh, very nice location, very nice staff, clean and quiet. Very nice people, pretty bad English :-) but very polite - 2 hands and many gestures solves almost every problem. 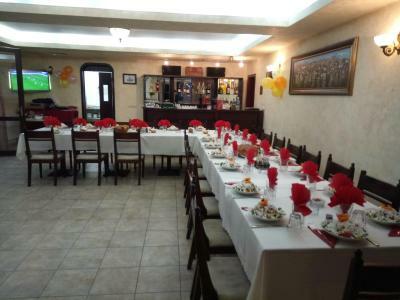 The food was fresh and tasty and the kitchen very clean. I will return for sure, even for just another portion of local donuts. 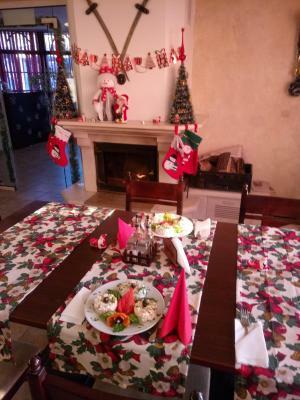 Hotel Elena is one of those small hotels that are easily considered as a family operated hotel. 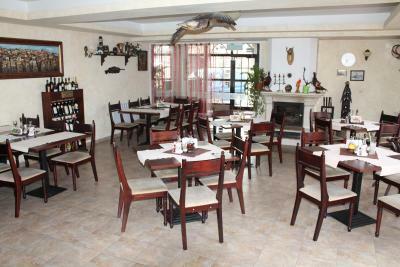 The staff is extremely helpful and accommodating. It's not a luxury place but it's at great location, small, clean and organized, and quiet. It's the perfect place to stay for a bigger family. Персоналът беше невероятно мил и отзивчив. 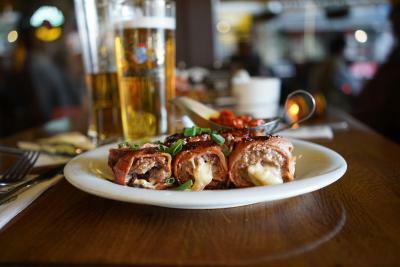 В 2 през ноща решихме, че ни се играят карти. Осигуриха ни две тестета. Младото момче което работи там (Стефан) е много любезен, отзивчив, работлив и услужлив. Личи, че си харесва работата. 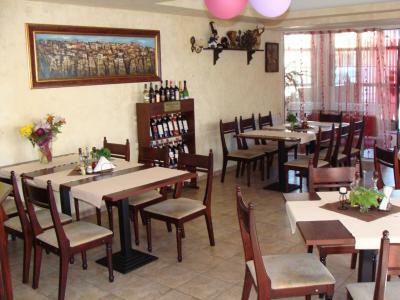 Hotel Elena is located in Arbanasi on a plateau, boasting beautiful views over Veliko Tarnovo, Tzarevetz hills and Stara Planina, 2.5 mi from Veliko Tarnovo. Free Wi-Fi is available in the entire property. 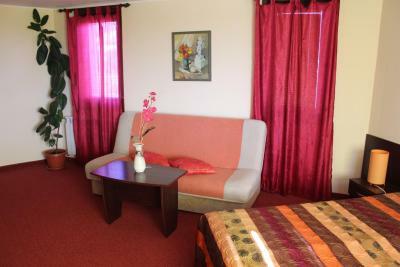 All rooms are air-conditioned and come with cable TV and a private bathroom. Some rooms also have a balcony. The hotel is right next to the St.Nikolai Chudotvorec cloister and the Rojdestvo Hristovo church. 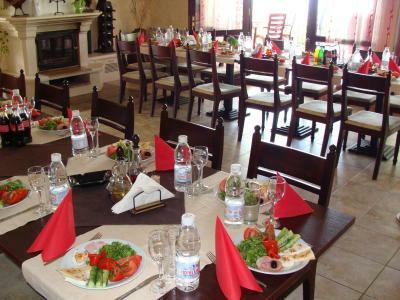 In the restaurant you can taste traditional Bulgarian meals. The fireplace creates a cozy ambiance, while the restaurant terrace allows you to enjoy a panoramic view. 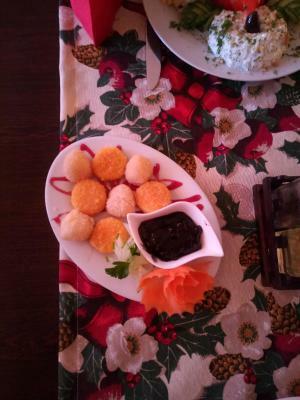 This is our guests' favorite part of Arbanasi, according to independent reviews. 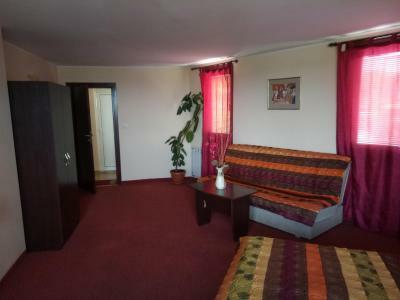 This air-conditioned room features cable TV and free Wi-Fi. 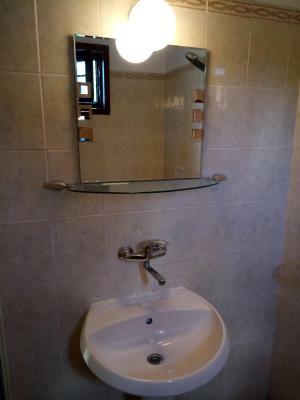 It comes with a private bathroom. 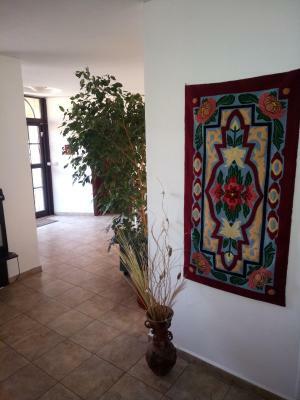 This air-conditioned and spacious studio features a separate entrance and 2 balconies. 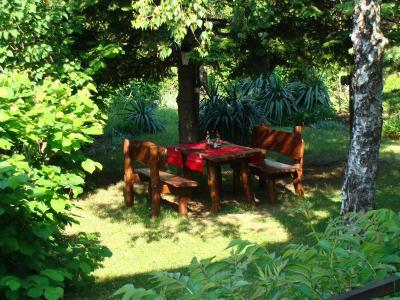 It comes with a refrigerator, large cable TV and free Wi-Fi. The private bathroom includes free toiletries. This air-conditioned room features a terrace with panoramic views. 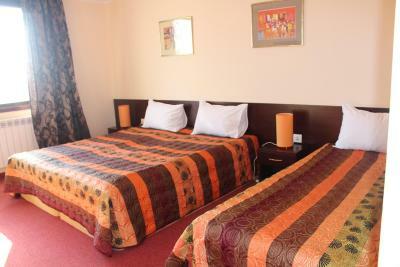 It consists of a double bed and a single bed, and features cable TV and free Wi-Fi. It comes with a private bathroom including free toiletries. This air-conditioned room with characteristic high attic windows is equipped with free Wi-Fi, a cable TV and a private bathroom. 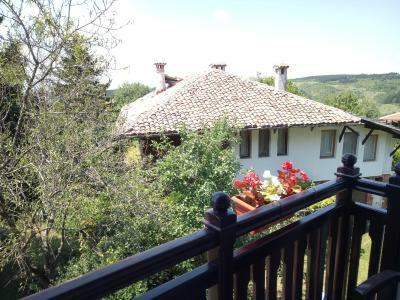 The hotel is offering a great opportunity to enjoy the view of the old capital of Bulgaria, Veliko Tarnovo, Tzarevetz Fortress and Stara Planina mountain. 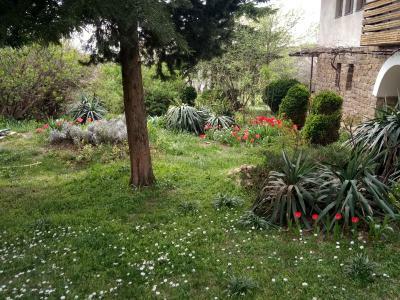 Our guests would have the chance to be fascinated from the atmosphere of the architectural reserve Arbanassi, to feel the quietness of home atmosphere which would separate you from stress, providing absolute relaxation. 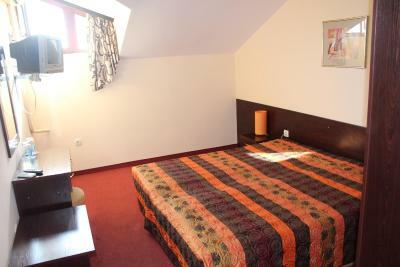 All children under 12 years are charged BGN 15.65 per night for extra beds. No fresh meat, food is way too expensive for its price taking into account the quality. The bathroom was not cleaned. The shower was broken. There was this horrible smell in the room coming from the drains/sewage. There was no balcony and enough light in the room. The carpet was dirty. The WiFi was not available on the second floor. The owner was so pushy that we pay immediately. She had unfriendly attitude. 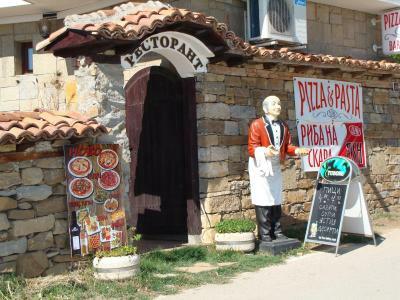 I would like to drink here a local draft beer, but bottled Kamenitza was also a good option. Modest facilitates in our attic room. It was too warm in the room and at night i opened the very little upper window and a mosquito came in.